Unable to comprehend this inexplicable event, the government sends Nathan Rand into this impenetrable secret world of undreamed – of perils to follow the trail of his vanished father…toward mysteries that must be solved at any cost. But the nightmare that is awaiting Nate and his team of scientists and seasoned U.S. Army Rangers dwarfs any danger they anticipated…an ancient, unspoken terror – a power beyond human imagining-that can forever alter the world beyond the dark, lethal confines of the Amazon rainforest for better… and for worse. The use of mass market originals as a farm team for hardcovers has lost popularity, but still works occasionally, as with Rollins, whose three mass markets (Deep Fathom, Excavation and Subterranean) displayed a flair for brawny adventure within an exotic locale a flair put to good use in his hardcover debut. A U.S. Special Forces agent walks out of the Amazon jungle and quickly dies of rampant tumors; what's especially bizarre is that this man has two arms, but when he entered the jungle five years before as part of a biopharmaceutical exploratory expedition, which has been lost track of, he had only one. The rest of the novel follows a group of scientists and U.S. military guardians as they trek deep into the jungle in search of the missing expedition and, hopefully, the secret to the regrown arm - a secret that takes on vast importance when the dead agent's body, shipped to the States, spreads a disease that threatens to wipe out the American population. Meanwhile, a second, predatory expedition, led by a French psychopath, surreptitiously follows the first, aiming to steal whatever cure the searchers uncover; both expeditions wind up at the isolated home of a legendary tribe and the malignant, giant tree that sustains it. Rollins won't win awards for his prose or characters, though both function smoothly in this boldly drawn entertainment, and there's little here that isn't a variation of some classic adventure trope. His p acing is forceful, however, and his atmospherics rich, with giant caimans and jaguars, mutant amphibians and hungry locusts adding to the mayhem, a high body count and a congenial sense of the ridiculous although Rollins plays it deadpan. This is old-fashioned, rugged adventure in the tradition of Haggard and Crichton, told with energy, excitement and a sense of fun. Copyright 2002 Cahners Business Information, Inc.
"Gripping...a first-rate nail biter." — Tampa Tribune This is old-fashioned, rugged adventure in the tradition of Haggard and Crichton, told with energy, excitement and a sense of fun. "[A] nerve-wrecking adventure yarn….James Rollins delivers a first-rate nail-biter that will keep the reader wary until the last page…A journey that is packed with scenes that excite the mind. The pace is relentless." "Amazonia grabs you by the throat from page one and refuses to let go until the very last page is turned. Rollins is one of the most inventive storytellers writing today...Don't you dare miss this one!" "Amazonia is a nonstop, thrill-a-minute ride. This is just the book for Indiana Jones fans!" "An adventure tale in the grand manner. 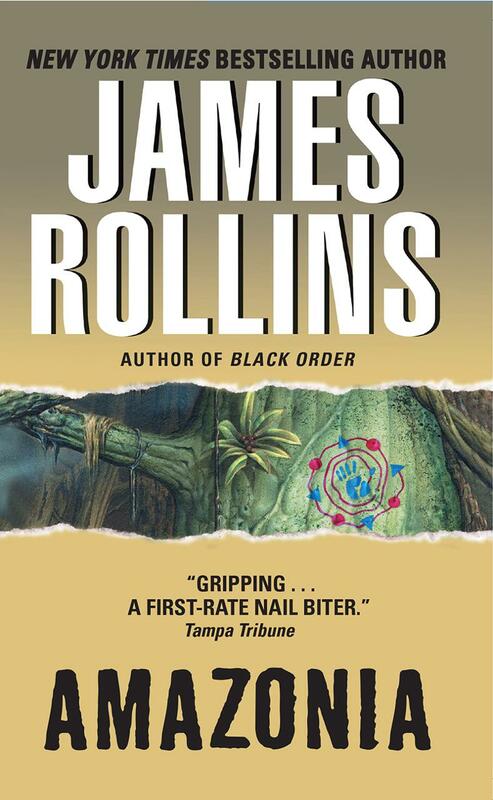 Rollins takes the reader through the horror and intrigue of the Amazon like no one else. The action never relents." Fill out the form below to create a review for amazonia. Your review will have to be approved first before it will show up on the site.